Gervonta Davis and Jermall Charlo both return as part of the Saturday’s Showtime Tripleheader. Davis looks to be more focused than his last outing, in which Gervonta missed weight and underwhelmed as the co-feature to Floyd Mayweather and Conor McGregor. Tank is facing a tough and powerful guy in Jesus Cuellar. 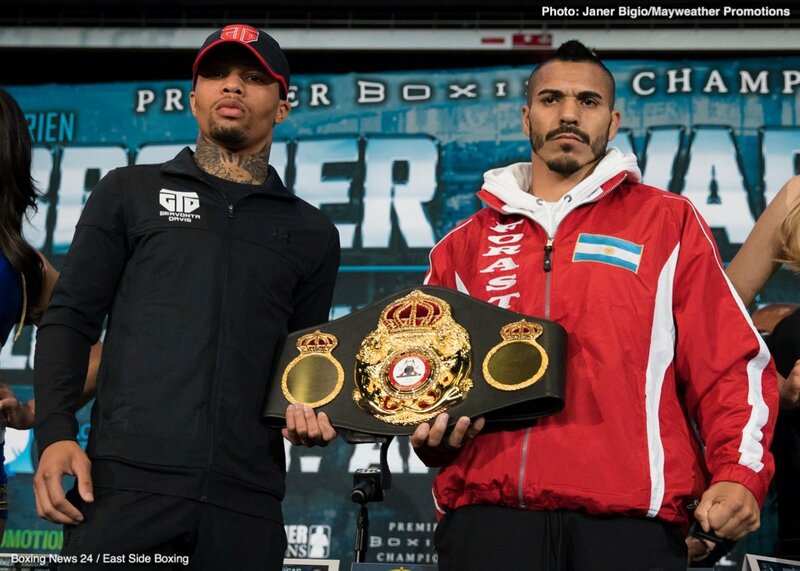 Let’s hope that Cuellar backs up his tough talk about making this bout a brawl, if so we could get some serious fireworks because Gervonta will not back down. Jermall Charlo and his twin brother are peaking at the moment both inside and outside of the ring. Standing in Charlo’s way is Hugo Centeno, a fighter who has been inconsistent in his career making it kind of hard to get a read on him. As a rising prospect, Centeno looked the part until he faced Julian Williams. Although the fight was stopped short due to a cut, it was clear Hugo wasn’t on the same level as JRock. Those holes in his game were further exposed by Maciej Sulecki getting stopped in the 10th. Hugo bounced back last August with a highlight-reel knockout over Immanuwel Aleem. This could turn out to be action-packed while it lasts and by the way, look out for a counter shot possibly via uppercut to end it all. My Official Predictions Jermall Charlo by 7th round KO and Gervonta Davis by late technical-knockout. Side Note: During the afternoon in the States, keep an eye out for Carl Frampton vs. Nonito Donaire on Showtime’s Facebook & YouTube pages. Can a faded Donaire turn back the clock and beat 2016 fighter of the year Carl Frampton? Can Nonito use his 6 inch reach advantage and do enough on the outside? Will Frampton return to form after two mediocre performances? It’s a battle of high-level skill live on BT Sports in the U.K. at SSE Arena in Belfast. My Official Prediction is Carl Frampton by Unanimous Decision.